This website describes from A to Z how to install and optimize Windows. This information is clearly summarized in 10 steps (with referrals to more specific information). Most tips in step 5 to 10 can be applied to an existing Windows-installatie as well. Step 1: Backup data, drivers and settings. Step 2: Partitioning and formatting the hard disk. Step 3: Installing Windows - the setup procedure. Step 4: Windows Updates and the installation of hardware drivers. Step 5: Setting up and optimizing Windows. Step 6: Installing a firewall and virus scan software. Step 7: Installing other interesting (free) software. Step 8: Restoring personal data. Even for a specialist, reinstalling Windows is time consuming. It will take approximately 5 hours to set up Windows completely as desired. Installing Windows on itself is not that time consuming, but backing up the personal data, installing the updates, hard- and software, fine tuning of the settings, restoring the personal file and (if desired) creating an image of the system partition. But this can not be a reason not to reinstall Windows! A polluted operating system (with all kinds of software and add-ons), can be very annoying. The funny thing about this: in most cases you only realize that your computer was a real mess after Windows is reinstalled. You won't be the first who postpone buying a new computer. By keeping the usability in mind at every step, will result in an optimized computer which was worth the investment. This will result in a computer which can be used problemfree for multiple years (probably the best proof of this approach: most of my customers of a reinstall of Windows only contact me, when they intend to buy a new computer). Besides these advantages, think of the learning effect of doing it! Summarizing: reinstalling Windows is time consuming but very rewarding! Probably the best to for a riskless reinstalling of Windows: replace the old hard disk with a new hard disk. By doing so, all (personal) data and settings will be 100% safe because they are still available on the old hard disk. The accompanying advantages are a faster computer (in most cases) and reinstalling Windows takes less time. A new hard disk doesn't cost that much and changing the hard disk can be done by yourself without any risk. Before buying the hard disk, check out what type of hard disk the computer already has because there are two different types: the old IDE and the new SATA connection. The type of motherboard will determine which type can be used. Because it is still possible to start the previous Windows installation from the old hard disk (by switching the hard disks back), the installation and optimization can be done over a longer time period. Because the risk of losing personal data is close to zero, it is safe to experiment on the new hard disk. The installation of Windows is time consuming, and an error is quickly made. Before a critical action will be done (like changing the Windows settings or the installing of additional software) it is wise to image the system partition first to make sure the situation of that moment is saved. This will prevent that the reinstallation of Windows has to be done all over again when a problems arise. Some personal data (like the Internet Explorer Favorites and RSS-feeds) are more difficult to find. Backup the received and send email and contacts (and possibly the calendar, task and notes) as well. The exact storage location depends on the used software. Most used email programs are Outlook Express (XP), Windows Mail (Vista) and Outlook (part of the Office Suite). For more extensive information visit the page about the storage location and how to backup the personal data. TIP: If it is no longer possible to start Windows (to save the personal data) one can still access the hard disk with a bootable CD (like Bart's PE or VistaPE). When such a CD is not available, the hard disk can still be accessed by installing Windows on a new hard disk. By adding the old hard disk as second hard disk (as slave), the files can be accessed as well. The files on the hard disk can also be accessed by connecting the hard disk as slave on another computer. Make sure you are able to restore the email account(s), Messenger account(s) and FTP-account(s) settings (for uploading your website) by writing down the settings (or creating a screandump). The passwords of these accounts can be viewed with special software (like those of www.nirsoft.net). The tool IE View (from NirSoft as well) even shows the passwords of visited websites. Both Windows and Office software use a product code to install the software. In most cases, the product codes can be read from the license label (pasted at the back or side of the computer and/or the installation CD/DVD cover). Without this product code, it is not possible to reinstall the software. If those product codes are not available, they can be restored from the Windows system with the tool ProduKey (from NirSoft as well). It can't hurt to make some notes of current settings, like those of the internet connection and the different Windows features (like Windows Explorer, Internet Explorer...) and other installed software. The unknown hardware items in the Windows Device Manager are a frequently returning problem after installing Windows (like the network adapters, the modem, the graphics card, the soundcard, ...). By writing down the names of the different devices in the Windows Device Manager, the drivers are easier to find on the internet because you know what to look for. To prevent searching the internet, it is even better to save the hardware drivers with the tool Double Driver or DriverMax (in most cases the last gives the best results). When hardware is not recognized after the reinstallation of Windows, they can be used when Windows asks for the drivers (by referring to the location where the drivers have been stored). TIP: Within Windows Vista, the Device Manager is directly available in the Control Panel. Within Windows XP, the Device Manager is available by the Control Panel, System, tab Hardware, button Device Manager. Visit the page about saving the personal data, settings and drivers for more information about saving the hardware drivers. In most cases the hard disk has not been split up in multiple partitions, but just one partition (the C: partition) with the Windows operating system, the installed software and all personal data. If additional partitions are not desired (for example to store an image of the system), then it is not necessary to repartition the hard disk: at the Windows setup the C: partition can be used immediately to reinstall Windows on. After (quickly) formatting this partition, all files on the partition will be deleted automatically! By placing the personal data on a different partition (which separates them from the operating system), the hard disk is more clearly arranged. An additional partition can also be used for storing an image of the Windows partition (see step 10). Dividing the hard disk in multiple partitions makes it easier as well to backup the personal files frequently with automated software like SyncBack. Reserve a partition of 20-30 Gb (5-10 Gb minimal) for a Windows XP installation and at least 40-50 Gb for a Windows Vista installation. The remaining space on the hard disk can be used for other purposes, like a partition for personal data (the D: partition, formatted with the NTFS file system). An additional partition of 20 to 30 Gb (5-10 Gb minimal) (E: partition, formatted with the FAT32 file system) can be used later on to store an image of the Windows partition. To change the partition table before the Windows setup is started, advanced partitioning software is needed. For this purpose, there are multiple bootable CD's available, like the GParted Live CD. Partitioning in advance with advanced partitioning software has it's advantages (more flexibility) but is not necessary. The Windows software has sufficient options to do some simple partitioning. At setup, Windows asks which partition to install Windows on. At this moment it is time to delete the current partition(s) and to create a new system partition. Within Windows XP setup, existing partitions can be deleted with the D-key. Within Windows Vista setup, deleting partitions is even easier because of the better user interface. At setup, it is only necessary to create a new partition for the to be installed Windows version. The other partitions can be added afterwards with the Windows Disk Manager (available by the sub Administrative Tools in the Control Panel, Computer Management). The given drive letters (D:, E:,...) to the DVD-player and card readers can be changed with this tool as well, to make those letters available for the newly created partitions. The system partition can be resized afterwards as well, but this gives some practical problems. For resizing the partition, advanced commercial partitioning software (which leaves all data on the partition) like Paragon Partition Manager is needed (in most cases the free GParted Live CD can be used as well, but other partitioning software are not always able to resize the new version of the NTFS file system used by Windows Vista). There is always a risk of failure, which can result in a corrupted operating system, especially in case of Windows Vista! By the way, Windows Vista offers resizing options (while keeping the files on the partition) as well with the tool Windows Diskmanagement. Unfortunately, the results are limited because this tool is not able to move the system files which are kept busy by a process. PARTITIONING IN CASE OF A RECOVERY PROCEDURE? 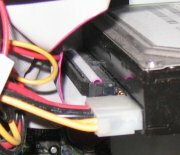 When the computer has a special recovery procedure, which is stored on a special (sometimes hidden) partition, repartitioning the hard disk is not always possible. Depending on the type of recovery procedure, the recovery won't work anymore after the partition is resized! An error message appears or the newly created partition(s) are overwritten automatically by a repartitioning done by the recovery software. When a resized partition is desired, it has to be done afterwards (which will 'disable' the recovery procedure until the old partition is restored). The page about resizing the Windows partition in case of a recovery partition discusses this subject in more detail. The newly created partitions has to be formatted to give it the desired file system. At Windows setup, the user is asked what file system to use, the NTFS file system is prefered in most cases. ATTENTION: At partitioning and formatting the hard disk, all files will be deleted! Backup your personal files before doing so! Visit the pages about partitioning the hard disk and formatting partitions. Copying the personal files to a safe location and the repartitioning is skipped by most users. In those cases the reinstallation of Windows starts with step 3: the Windows setup procedure. To prevent from troubles caused by missing drivers of connected hardware, disconnect the external hardware (like printers, scanners, ...) before the setup is started. After the setup has finished. 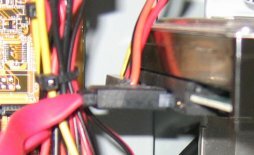 the hardware can be connected one by one to install the drivers. Reinstalling Windows can be done by following two different procedures: the default Windows installation with a Windows-CD (XP)/-DVD (Vista) or the recovery procedure (in most cases started from the recovery partition) which will bring the computer back to the factory settings. Although the default installation offers the most flexibility, a recovery system has the advantage of restoring the computer back to the factory settings (the installation of drivers, software and settings included) with a few mouse clicks. But there are disadvantages as well: the options are limited, unknown settings are applied and unwanted (in most cases adware) software is installed on the computer. The default Windows setup procedure is pretty simple: start the computer from the Windows-CD/DVD and confirm (by pressing a key) the booting from the CD/DVD when asked for and the setup will be started automatically. When the computer won't start from the CD/DVD, the boot order has to be changed, which is done in the BIOS. Depending on the type of motherboard, a specific key (F1, F2, F3, F10, F11, F12, DEL or INS) has to be pressed at the startup of the computer. The next step is to search the BIOS for an option called boot order, boot sequence or something similar and to change the boot order to make sure the DVD-player is the first bootable medium to start from. The Windows setup can be walked through easily step by step. Select installing and not the repairing of Windows. When asked for the partition to install Windows on, don't forget to delete the existing partition to be able to repartition the hard disk. When asked for an administrator password, it can be left blank when a password is not needed. When the setup is not able to format the system partition (one of the most mentioned problems running the setup) verify that you didn't boot the installation CD/DVD within Windows. The computer has to be booted from the CD/DVD! When the setup is not able to find the hard disk? This is caused by the missing Windows drivers for a specific SATA-controller and/or a RAID-configuration (they are mostly available at the CD accompanying the motherboard and/or the website of the manufacturer). For Windows Vista, those drivers can be loaded at the moment the setup asks for the partition to install Windows on. For Windows XP, those drivers have to be loaded at the beginning of the setup by pressing the F6 key when asked for in the status bar at the bottom. At some point in the setup procedure, the product code is asked for. This code is mentioned on the license sticker which is normally placed on the back or side of the concerning computer. To get out of troubles, don't exchange this code with other computers because this can cause issues when the installed Windows versions has got to be activated (after Windows is working and connected to the internet). At setup, the user is asked to select the desired keyboard and language settings. When an international keyboard is used, select United States-International. When the wrong keyboard settings have been chosen, some keys won't result in the symbol they represent (in stead of the @ symbol, a different symbol is displayed). It is no big problem if you did choose the wrong keyboard, because these settings can be changed afterwards as well (Control Panel, sub Regional and Language Options, followed by the tab Languages, button Details (XP) or tab Keyboards and Languages, button Change keyboards (Vista). At setup, multiple user accounts can be created, but it is advised to keep it by one account with administrator privileges, to change the settings as desired and to add the other accounts later on. For the user account, a short name without spaces and special symbols is preferred. This will prevent the user from troubles when older software (which is not able to handle folders with such symbols) is used. The shown name of the user account can be changed later on at the sub User accounts in the Control Panel. Browse this website for more information about the Windows XP-setup and the Windows Vista-setup. When a recovery CD/DVD is available (in most cases the user is asked to burn the recovery software on a CD-R/DVD-R the first time the computer is started), place it in the DVD-player and restart Windows to start the recovery procedure from CD/DVD. In some cases the recovery procedure can be started from the Start Menu within Windows. This will activate the recovery partition. When the computer reboots, this partition will be used to recover Windows. In most cases the recovery procedure is started by pressing a special key at the startup of the computer. Which key to use is shown at startup and depends on the used computer. The computer will be started from the recovery partition (in stead of the Windows partition) and the recovery procedure will start. When a recovery partition is available. it can be activated manually with partitioning software in most cases (as alternative to the two previous procedures). Especially when one desides to repartition the hard disk (step 2) this can be very useful to get the recovery procedure started. After the first time Windows is started, it is wise to start the Windows-update procedure immediately. Windows Update is in both Windows XP and Windows Vista available by the sub All programs in the Start Menu. In Windows XP, select the custom installation and install both the essential Windows-updates and the optional software and hardware updates. Repeat this process until all updates are installed. TIP: By choosing for Microsoft Update in stead of Windows Update, the updates for other installed Microsoft products (like the Office Suite) are installed as well. For Windows XP, Microsoft Update is available by the Windows Update page and for Windows Vista by the option Use Microsoft Update of the Windows Update Window. Although there is a lots of hardware recognized automatically by Windows (and Windows Update), some of the hardware drivers will still be missing. Most of those drivers can be installed from the CD/DVD accompanying the hardware. Although these drivers will do fine, it is better to download the most recent directly from the manufacturers website. Don't forget to install the motherboard drivers, else you will have problems with the sound and power management. To find out the type of motherboard, the tool CPU-Z (download: www.cpuid.com/cpuz.php) can be used. The website of the manufacturer will lead you to the latest available drivers. The tool PC Wizard (download: www.cpuid.com/pcwizard.php) can be very useful as well, especially for tracing the needed hardware drivers. Visit the pages about the Windows XP-drivers and Windows Vista-drivers for more specific information.